Chairman & CEO, The Newhall Land & Farming Co.
Photo 1995 | Biography as of Aug. 30, 2000 | Source: The Newhall Land & Farming Co.
Thomas L. Lee is Chairman and Chief Executive Officer of The Newhall Land and Farming Company. Newhall Land owns more than 50,000 acres in California and develops new towns and master planned communities. Its primary activity is the new town of Valencia located 30 miles north of downtown Los Angeles. The company is traded on the New York and Pacific Stock Exchanges. Lee joined Newhall Land in 1970 and has held various positions in the company's residential, commercial and industrial real estate operations. He was named President and Chief Operating Officer in 1985, CEO in 1987 and Chairman in 1989. Lee serves as a director of Blue Shield of California. He is a member of the California Business Roundtable and the Urban Land Institute. He serves as a director of the Real Estate Roundtable, as a national trustee of Boys and Girls Clubs of America and as a trustee of California Institute of the Arts. Lee graduated from Denison University with a degree in Economics in 1964 and received a Masters in Business Administration from Stanford University in 1970. Lee served as an officer on active duty in the U.S. Naval Reserve from 1964 to 1968. Webmaster's note: Tom Lee was named the 2000 SCV Man of the Year. He retired from Newhall Land on March 31, 2001. He was succeeded as chairman and CEO by Gary Cusumano, the president and chief operating officer. Below: Biography as of 2005 | Source: SCV Man & Woman of the Year Committee. Newhall Land & Farming Company hired Tom right out of Business School and in July 1970, Tom and Colleen moved to Valencia. He went to work as an administrative assistant (a 'gofer') for the real estate department. Over the years, Tom moved from project to project, producing three-year and five-year plans for Newhall Land. In 1976, he became director of operations for Valencia Corp, then president of Valencia Corp, experiencing the constant "boom-and-bust, boom-and-bust" cycles of the Santa Clarita housing market. 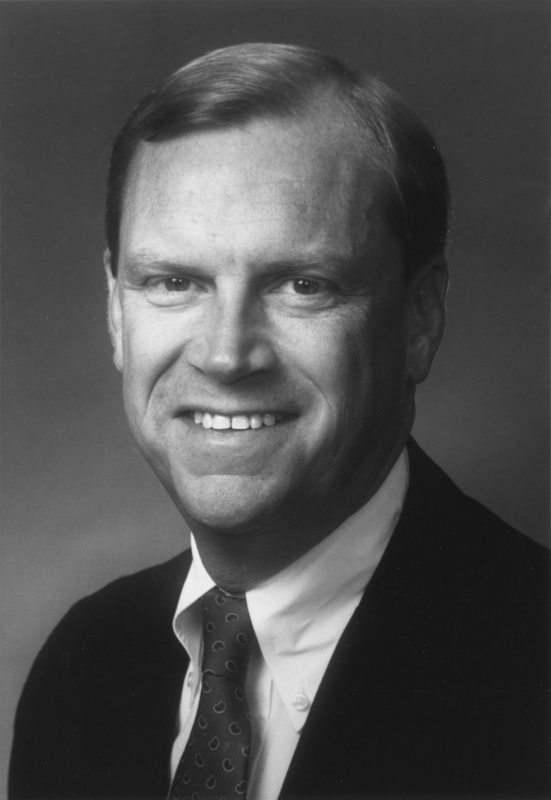 In 1985, Tom was chosen to take over the presidency of the Company, and in 1989, Tom was named chairman of Newhall Land. Over 31 years, Tom helped guide the operations of the most important company in the Santa Clarita Valley, leading the implementation and build-out of the Valencia Master Plan, creating homes, schools, parks, paseos, employment, health and social services, and laying the groundwork of the next big phase  The Newhall Ranch. From the moment he set foot in this valley, Tom has been a model corporate executive  an individual with a heart and conscience. Right after moving here in 1970, he joined the board of the SCV Boys & Girls Club. He helped arrange programs for the kids; he bartended and served food at the annual luaus; he was a volunteer on the benefit auction for 12 years, chairing the entire Auction in 1975; he became President of the Board of Directors; and he was named Boys & Girls Club "Man of the Year". In 1973 when Magic Mountain donated the pennies collected from their pools to the Boys & Girls Club, Tom took the tubs of mud-caked coins to his home and organized "penny-cleaning" parties in his backyard, which brought many dollars to the B&G Club. There is not a charitable organization in this valley that Tom Lee has not touched. As CEO of Newhall Land, he established a policy that every executive must contribute and get deeply involved in community organizations. Today, you will find Newhall Land employees volunteering at schools, charities, youth and service clubs  every charitable organization in the valley. 1974  SCV Boys & Girls Club "Man of the Year"
1990  Was presented with the prestigious United Way Gold Key Award for service. 1990  Co-Chair of the Boys & Girls Club $1.5 million Capital Campaign, which built their central facility in H.M. Newhall Park. 1990s  Chaired the committee to fund the YMCA's main childcare center in Valencia (giving them a long-term lease at $1 per year). 1994  At the Valencia Town Center grand opening, his organizing raised $100,000 for local charities. 1996  Named California "Veteran of the Year" by the National Veterans Foundation. 1998  Hyatt Valencia Hotel grand opening  Raised money for HMNMH emergency room. 2000  Honorary chair for the American Cancer Society's "Relay for Life." In 2000, Tom was named the Santa Clarita Valley's "Man of the Year." Most recently, during the last five years since leaving Newhall Land, Tom has been co-chair a the capital campaign to build the University Center at College of the Canyons. On being named 2000 Man of the Year, Tom says, "This was a special honor to me because I was honored by a local group of people who had known me for years and themselves had done so much for our community."